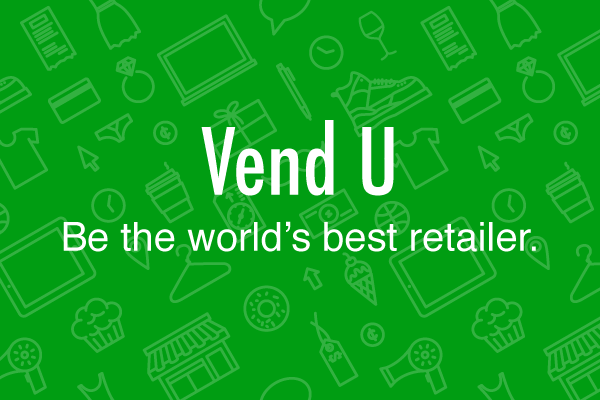 Vend U: Be the world’s best retailer! Knowledge is power, and a store owner who’s knowledgeable about the latest retail trends, how to run their business well, and how to use Vend effectively is a force to be reckoned with. We want Vend retailers to be the best in the world, which is why we’re launching Vend U – a one stop shop for retail resources, tips and trends, and community events – all designed to give you the competitive edge. Vend U is jam-packed with videos, tutorials, guides, and regularly scheduled training webinars. The content isn’t only about being a great Vend retailer, but about being a great retailer in general. We look at topics such as the latest shopping trends from around the world, tips for managing staff effectively, and the best apps for running your store efficiently. This is just the beginning – in the coming months we’ll be adding tonnes of new content including videos and guides to help you and your staff do awesome business. To celebrate the launch of Vend U, we’re holding a competition (yay, everybody loves prizes!). Share with us on Twitter or Facebook what you think is the most important ingredient for running a great store, and go into the draw to win a shiny new iPad Mini. Tell us what a great store has that makes it amazing – is it how the store looks, the staff behind the counter, the products on the shelves, or a magical mix of all of the above and more? Sim was a writer and technology journalist in a former life, before coming on board at Vend to help us communicate with our amazing community of retailers, partners and developers. Feel free to get in touch with Sim on Twitter, LinkedIn, and Google+.